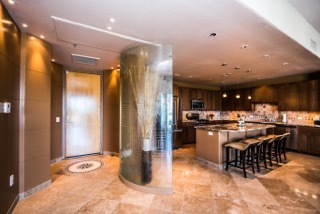 Tapestry on Central Condos for Rent- Tapestry on Central ( 85003 and 85004) is located adjacent to the Willo Historic District of Phoenix. This three-building, seven-story, 280-unit community high-rise is on the northwest corner of Central Avenue and Encanto Boulevard. Along with Metro Realty, Tapestry on Central offers properties for sale and for lease. In fact, there are two-story townhomes, executive penthouses, and expansive flats. They come in a wide variety of one- and two-bedroom floor plans ranging from approximately 837 square feet to more than 2,500 square feet. Each home comes with assigned underground parking and elevator access. 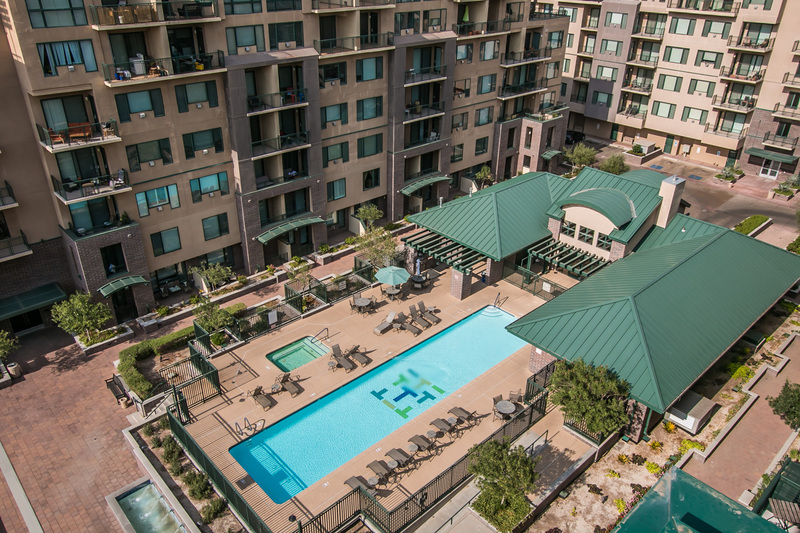 Most importantly, Tapestry on Central is near the heart of downtown Phoenix central business corridor and minutes from Sky Harbor International Airport and city, count state government offices. Looking for some culture and fun? 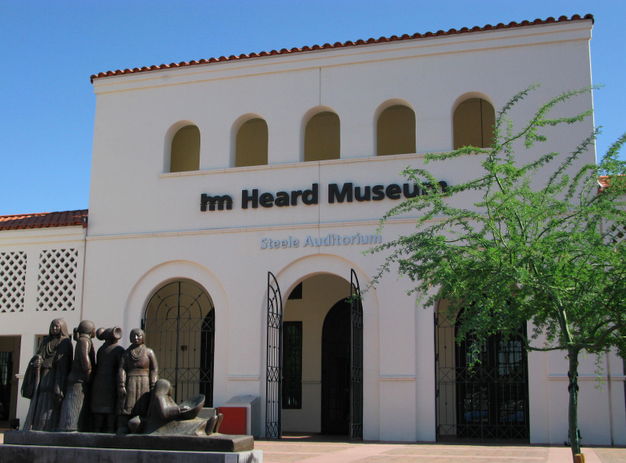 The world famous Heard Museum is just across the street. Furthermore, The Phoenix Art Museum is right down the block. The Herberger Theater Center, Phoenix Civic Plaza and Symphony Hall, Talking Stick Arena and Chase Field Ballpark are nearby. Moreover, the Comerica Theatre and the historic Orpheum Theatre are both downtown, too. They feature some of the hottest names in entertainment. Check out the alternative band scene at Crescent Ballroom or Valley Bar for a casual night out on the town. Dining out? Don’t want to cook? No worries! Durant’s famous steakhouse is down the street. Not to mention, casual dining at Switch and Wild Thaiger are quick and easy options. Further downtown you need to try Pizzeria Bianco, considered to be among the best pizza in the entire United States. Of course, Tapestry is close to the Phoenix Public Market, in the nearby Roosevelt Historic District. Ready for college or interested in pursuing a degree? Arizona State University has a campus just minutes away. The professional, fast-paced Downtown environment provides a multitude of academic and professional connections for students. Put on your thinking caps! Located in Arizona’s capital, ASU’s Downtown Phoenix campus provides a multitude of academic and professional connections for students. Therefore, students preparing for careers across the healthcare spectrum including preventive care, research, policy and advocacy will find a home here. As a matter of fact, students can also study law, government and other public services. They can also work with nonprofit and public social service providers. In arts and sciences, journalism, media, and the corporate sector, students will find a variety of courses. Learning takes place in contemporary classrooms and research centers throughout campus. Buildings integrate into Phoenix’s iconic architecture. Surprisingly, ASU has incorporated the historic U.S. Post Office building into modern-day landmarks such as the Walter Cronkite School of Journalism and Mass Communication and the Arizona Center for Law and Society. Students participate in an abundance of public service opportunities and have leisure-time access to first-class fitness facilities. They may enjoy the variety of performing arts and cultural venues. What’s more, major sports events are important to the city. This professional, fast-paced downtown is also a transit network hub that includes light rail and connections to other ASU campuses. 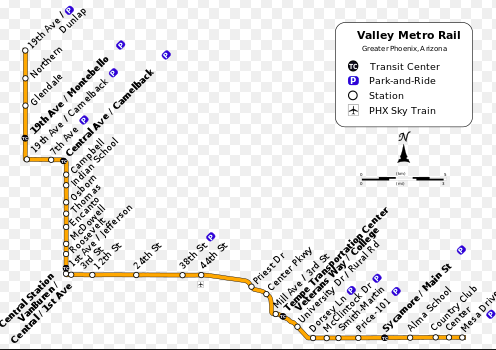 The Light Rail also travels to points of interest throughout metropolitan Phoenix. Additionally, transportation is easy when you use the Valley Metro Light Rail with a conveniently located platform right in front of Tapestry on Central. 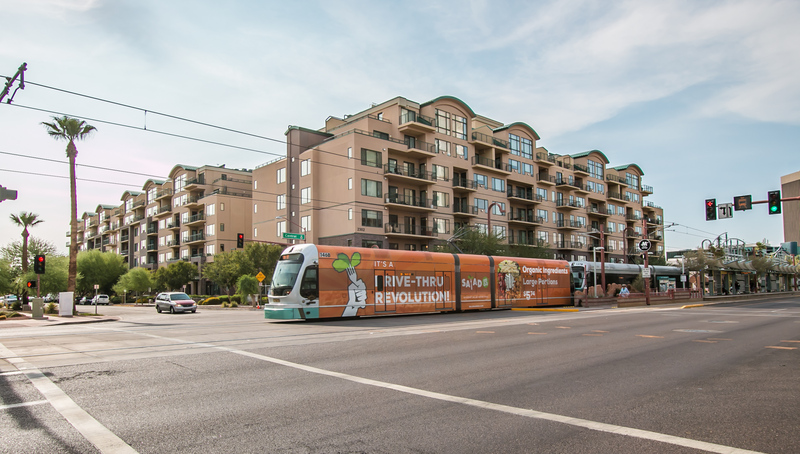 It’s an easy way to get downtown and to downtown and Mesa without worrying about parking. Are you ready to take a look at some units? Tapestry on Central is right where you need to be. Your next home is right here. All in all, find out why Tapestry on Central is a great place to live. Metro Realty can help you find a place here. Additionally, you can discover other conveniently located properties. Moreover, we can help you find a new-build if you’re looking for a home outside of Downtown. Call Metro Realty today at 602-687-9933. We’d love to meet you!